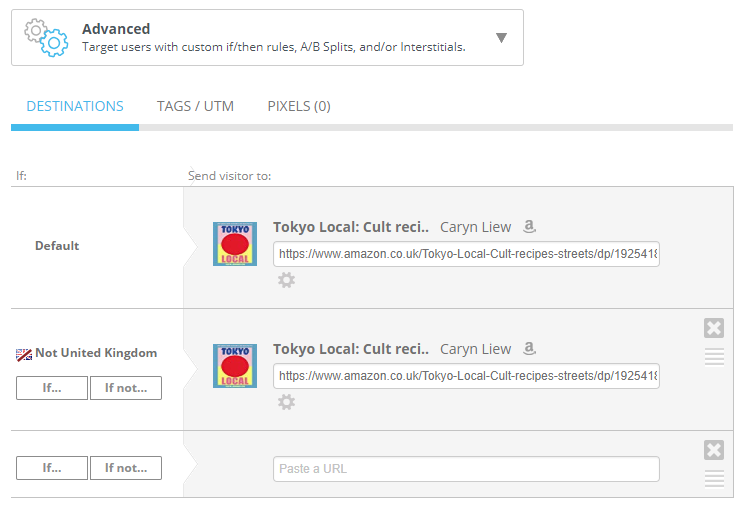 At the moment there's no way to directly disable our automatic Amazon localization, but you can definitely force this kind of behavior with two rules in an Advanced Link. Now, whenever someone clicks that link, they'll land on that exact product page in the UK Amazon storefront and nowhere else. Then you can always go back and edit the link later on if you like.